With only 34 living species–all in a single genus–(Zorotypus) in one family (Zorotypidae), and only the extinct Xenozorotypus to keep this lone genus company, the taxon Zoraptera must surely be the least diverse of all the living insect orders (Engel, 2003); and (I would argue) probably the most obscure, only having been noticed by science exactly a hundred years past (Silvestri, 1913). 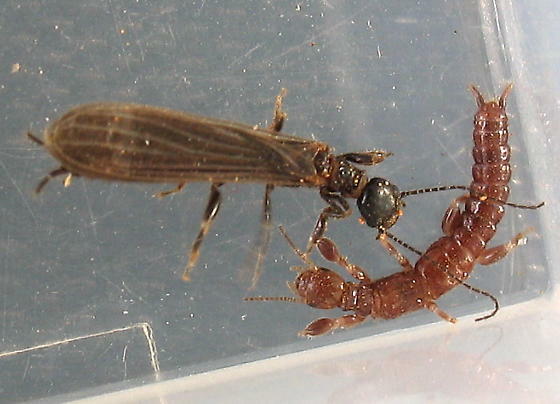 Oh, Notoptera (icecrawlers and rockcrawlers) might be able to compete–or the Embioptera (webspinners) could perhaps give zorapterans a run for their money: but both of these taxa possess a vernacular name, something that the Zoraptera essentially lack. A few sources dub them "angel-flies", but that denominator is almost completely disused for a good reason: it is absolutely without any basis that I can see in either form or behavior. I mean, if zorapterans had any resemblance to the cherubim and seraphim, I would expect them to appear on greeting cards more often. But what are these insects? They are little pantropical things, 3 mm. long or less, with short cerci, 2-segmented tarsi, large palpi and beady 8/9-segmented antennae; if winged rather than otherwise (more about this dimorphism later), their wingspan never exceeds 7 mm (Engel, 2005). Extant zorapterans universally conform to this chassis with fidelity (they're congeners, after all). Naturally inhabiting the nooks and crannies of rotting wood that has reached a certain level of dampness (Wilson, 1959) (moist sawdust is a favorite man-made habitat), they feed mostly upon fungi, but may also exhibit some carnivorousness (Choe, 1997). The habitat required by zorapterans is a fleeting one, and colonizing new frontiers outside of their preferred microclimate is out of the question for the blind, wingless individuals that constitute the majority of a given population; this necessitates a generation of sighted alates* that disperse when the log that is a zorapteran's whole world turns sour. Subsequent to their arrival at a suitable habitat for their offspring, the alates deliberately shed their wings (designed to be comfortably snapped off at the bases at will) and–deepening these insects' superficial resemblance to the Isoptera (termites)–establish a new colony: for zorapterans are social, albeit to a very limited degree in comparison to even the most primitive termites (Mastotermitidae), which are eusocial†. Depending on the species, colonies may be hundreds strong: but the zorapteran super-organisms are primitive, with only a rudiment of discrimination by the members of one against those from another; consequently, the boundaries between colonies in the wild are fluid. More pertinent to the definition of the zorapteran degree of "sociality" (in the sociobiological sense) is the fact that among these insects there is no distinctly sterile caste in contrast to a reproductive one: the alate morph is more akin to the "alternating generations" mechanism observed in heteroecious aphids. The colony is organized hierarchically nevertheless–at the top of the heap sits a male under which is ranked a chain of subordinates; status is determined by duration of membership in the colony (better referred to as a harem), and maintained by continuous bullying (Choe, 1994). This makes the Zoraptera exhibit some of the few (perhaps the only) arthropod societies to be definably patriarchal. In fact, the only example of a patriarchy among exoskeleton-bearing organisms that I can think of at the moment is confined to science fiction: the eusocial aliens called the Chulpex, described in Avram Davidson's Masters of the Maze (1965) (Summers & Barlowe, 1979). In addition to being the most obscure (and certainly the least diverse) extant order belonging to the class Insecta, the Zoraptera is also perhaps the most phylogenetically inscrutable: a grand total of 10 different phylogenetic hypotheses were proposed regarding them in the first 89 years of our discovering their existence (Engel & Grimaldi, 2002). Only the Strepsiptera (twisted-winged parasites) approach the "angel-flies" in terms of their degree of cladistic dispute (Kristensen, 1991): but strepsipterans, at least, demand human attention by their striking weirdness (see "Twisted-Winged Parasites Are Friggin' Awesome"); whereas zorapterans are discreet things, and so apt to be ignored. The only incontrovertible clue we have to the ordinal kinship of the Zoraptera is its members' hemimetabolous development (i.e., incomplete metamorphosis), which would exclude them from the great clade called Exopterygota. 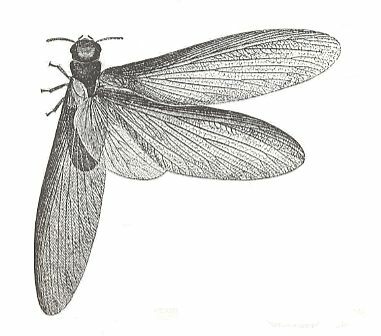 Beyond that, their placement is up for grabs, what with their specialized wing venation, which precludes any closeness to the termites they often live alongside (compare the wings of the M. darwiniensis previously shown with those of the Z. snyderi directly above). Four hypotheses as to zorapteran phylogeny remain in the running today: first, that they comprise the adelphotaxon‡ of the clade Paraneoptera (Hennig, 1953; Beutel & Weide, 2005), which contains the orders Hemiptera (true bugs), lice–both free-living and parasitic (Psocodea), and Thysanoptera (thrips). The other three competing theories all place zorapterans in the Polyneoptera, which includes such familiar insects as cockroaches (Blattaria) and crickets (Orthoptera: Gryllidae). One posits that the Zoraptera are most akin to the sadly-misnamed earwigs (order Dermaptera) (Jarvis et al., 2005; Terry & Whiting, 2005). Another (Boudreaux, 1979; Smithers, 1991; Kukalová-Peck & Peck, 1993; Wheeler et al., 2001; Yoshizawa & Johnson, 2005; Wang et al., 2013) proposes that the superorder Dictyoptera (a well-supported group consisting of the orders Blattaria, Mantodea, and Isoptera) is the zorapteran sister-group. 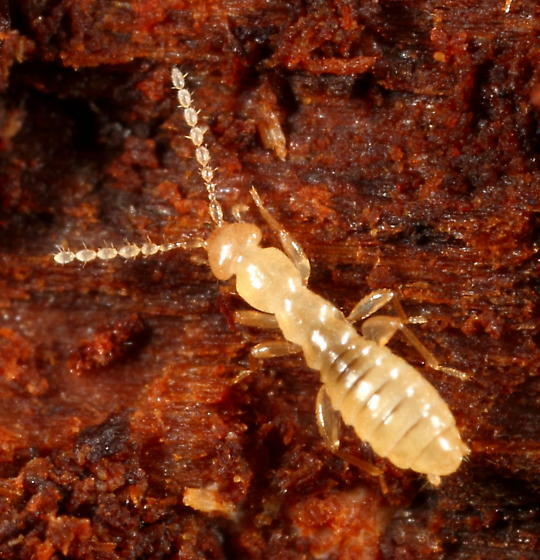 A fourth postulated cousin to the Zoraptera would be the webspinners (Embioptera), mentioned in the inaugural paragraph of this post and often united with the former in a clade called Mystroptera (Rafael & Engel, 2006). Webspinners are so named for their sheltering in labyrinthine silken galleries, which the tubular insects construct with peculiar silk glands on their forelegs: some species have a grand total of 300 spigots per individual (Engel & Grimaldi, 2006); there is a propensity among webspinners for running backwards down their hackled socks just as unerringly as they run forwards (thanks to their sensitive posterior cerci; Hoell et al., 1998). Gregarious like the Zoraptera, webspinner aggregations consist of a foundress and her descendants, the nymphs raised on a diet of masticated leaf litter (Imms, 1931); the short-lived males are winged in some species. Interestingly, those webspinners males that are alate are able to fold their wings forward over their bodies without injury (Ross, 2009). Farewell, and beware the ides of March. *Members of a winged morph. ||No, I do not speak French. Almeida, O. W.; Christofferson, M. L.; Amorim, D. S. and Eloy, E. C. C. (2008). Morphological support for the phylogenetic positioning of Pentastomida and related fossils. Biotemas, 21(3), 81-90.
van Beneden, P. J. (1849). Recherches sur l'organisation et le développment des linguatules (Pentastoma, Rud.) suivies de la description d'une espece nouvelle provenant d'un mandrill. Memoires de l'Academie de Bruxelles, serie 2, Zoologie, 23, 1-38. Beutel, R. G. and Weide, D. (2005). Cephalic anatomy of Zorotypus hubbardi (Hexapoda: Zoraptera): new evidence for a relationship with Acercaria. Zoomorphology, 124, 121-136. Boudreaux, H. B. (1979). Arthropod Phylogeny with Special Reference to Insects. John Wiley & Sons: New York. Choe, J. C. (1994). Sexual selection and mating system in Zorotypus gurneyi Choe (Insecta, Zoraptera). II. Determinants and dynamics of dominance. Behavioral Ecology and Sociobiology, 34, 233-237. Choe, J. C. (1997). The evolution of mating systems in the Zoraptera: Mating variations and sexual conflicts. In Choe, J. C. and Crespi, B. J. (eds. ): The Evolution of Mating Systems in Insects and Arachnids (pp. 130-145). Cambridge University Press: Cambridge. Diesing, C. M. (1850). Systema Helminthum (vol. 1). Wilhelmum Braumüller: Vindobonae. Engel, M. S. (2003). Phylogeny of the Zoraptera. Entomologische Abhandlungen, 61(2), 147-148. Fröhlich, J. A. (1789). Beschreibungen einiger neuen Eingeweidewürmer. Der Naturforscher, 24, 101-162. Hennig, W. (1953). Kritische Bemerkungen zum phylogenetischen System der Insekten. Beiträge zur Entomologie, 3, 1-85. Heymons, R. (1935). Pentastomida. In Bronn, H. G. (ed. ): Klassen und Ordnungen der Tierreichs (vol. 1) (pp. 1-267). Akadem Verlagsgesellschaft: Leipzig. Hoell, H. V.; Doyen, J. T.; and Purcell, A. H. (1998). Introduction to Insect Biology and Biodiversity (2nd ed.). Oxford University Press: Oxford. Imms, A. D. (1931). Social Behaviour in Insects. Read Books: London. Jarvis, K. J.; Haas, F.; and Whiting, M. F. (2005). Phylogeny of earwigs (Insecta: Dermaptera) based on molecular and morphological evidence: reconsidering the classification of Dermaptera. Systematic Entomology, 30, 442-453. Kukalová-Peck, J. and Peck, S. B. (1993). 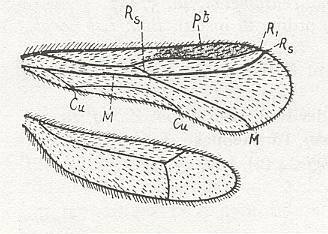 Zoraptera wing structures: evidence for new genera and relationship with the blattoid orders (Insecta: Blattoneoptera). Systematic Entomology, 18, 333-350. Leuckart, R. (1860). Bau und Entwicklungsgeschichte der Pentastomen nach Untersuchungen besonders von Pentastomum taenioides und P. dendiculatum. C. F. Winterische Verlagshandung: Leipzig. Minet, J. and Bourgoin, T. (1986). Phylogenie et classification des Hexapodes (Arthropoda). Cahiers Liaison, O.P.I.E. 20, 23-28. Møller, O. S.; Oleson, J.; Avenant-Oldewage, A.; Thomsen, P. F.; and Glenner, H. (2008). First maxillae suction discs in Branchiura (Crustacea): development and evolution in light of the first molecular phylogeny of Branchiura, Pentastomida, and other "Maxillopoda". Arthropod Structure & Development, 37(4), 33-346. Osche, G. (1963). Die Systematische Stellung und phylogenie der Pentastomida. Zeitschrift für Morphologie und Ökologie der Tiere, 52, 487-596. Richards, O. W. and Davies, R. G. (1977). Imms' General Textbook of Entomology, vol. II (10th edition). Wiley: New York. Rafael, J. A. and Engel, M. S. (2006). A new species of Zorotypus from Central Amazonia, Brazil (Zoraptera: Zorotypidae). American Museum Novitates, 3528, 1-11. Ross, E. S. (2009). Embiidina. In Resh, V. H. and Cardé, R. T. (eds. ): Encyclopedia of Insects (pp. 315-316). Academic Press: New York. Self, J. T. (1969). Biological relationships of the Pentastomida; a bibliography of the Pentastomida. Experimental Parasitology, 24, 63-119. Silvestri, F. (1913). Descrizione di un nuovo ordine di insetti. Bolletino del Laboratorio di Zoologia Generale e Agraria, 7, 193-209. Smithers, C. N. (1991). Zoraptera. In Naumann et al. (eds. ): Insects of Australia (pp. 410-411). Cornell University Press: Ithaca. Summers, I. and Barlowe, W. D. (1979). 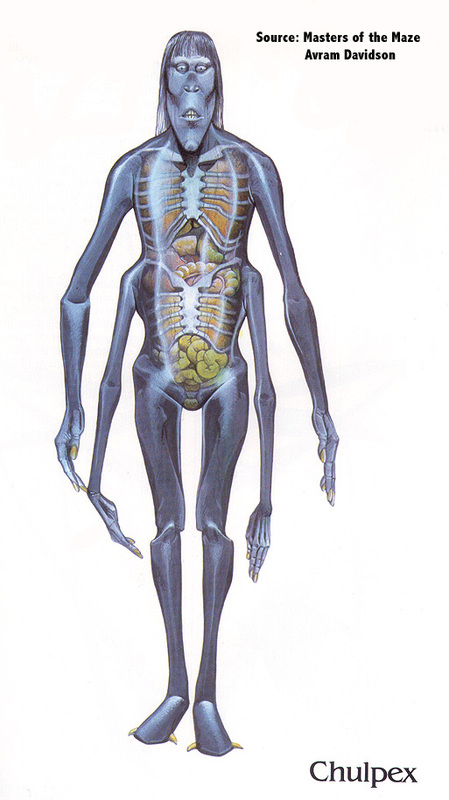 Barlowe's Guide to Extraterrestrials. Workman Publishing Company: New York. Terry, M. D. and Whiting, M. F. (2005). Mantophasmatodea and phylogeny of the lower neopterous insects. Cladistics, 21, 240-257. Waloszek, D.; Repetski, J. E.; and Maas, A. (2006). A new Late Cambrian pentastomid and a review of the relationships of this parasitic group. Transactions of the Royal Society of Edinburgh: Earth Sciences, 96(2), 163-176. Wheeler, W. C.; Whiting, M.; Wheeler, Q. D.; and Carpenter, J. M. (2001). The phylogeny of the extant hexapod orders. Cladistics, 17, 113-169. Wilson, E. O. (1959). Some ecological characteristics of ants in New Guinea rain forests. Ecology, 40, 437-447. Wingstrand, K. J. (1972). Comparative spermatology of a pentastomid, Raillietiella hemidactyli, and a branchiuran crustacean, Argulus foliaceus, with a discussion of pentastomid relationships. Det Kongelige Danske Videnskabernes Selskab Biologiske Skrifter, 19(4), 1-72. Yoshizawa, K. (2007). The Zoraptera problem: evidence for Zoraptera+Embiodea from the wing base. Systematic Entomology, 32, 197-204. Yoshizawa, K. and Johnson, K. P. (2005). Aligned 18S for Zoraptera (Insecta): phylogenetic position and molecular evolution. Molecular Phylogenetics and Evolution, 37, 572-580.